Why Fight Higher Ethical Standards for Financial Advisors? You might believe Wall Street financial advisors are required to put your financial interests first. Your need to achieve your financial goals supersedes a firm’s need to produce revenue and a financial advisors need to produce income. But, you are wrong. Know the facts so you can avoid a major financial mistake. Wall Street has two distribution systems for its products and services. One is your friendly neighborhood stockbroker. He holds licenses that permit him to sell investment products for commission. The other is a financial advisor who holds registrations that permit him to sell financial advice and ongoing services for fees. The two distribution systems are held to very different ethical standards. The stockbroker is held to a vague, lower standard called suitability. That is, he is supposed to make suitable investment recommendations that are based on his personal knowledge of your situation. But, he does not have to put your financial interests first. 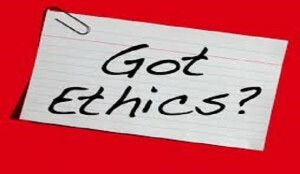 Financial advisors are held to a much higher ethical standard. They are financial fiduciaries who are required to put your financial interests first. This means, in the investment world, there is a big difference between sales recommendations (stockbrokers) and financial advice (advisors). There is a movement to create one ethical standard for both groups, but Wall Street is vehemently opposed to the single standard. You might find this perplexing. Why would Wall Street fight higher ethical standards for 400,000 stockbrokers and sales representatives? Wall Street cannot make as much money if its primary distribution system has to do what is best for investors. Wall Street makes more money doing what is best for Wall Street and the executives who run the Wall Street firms. You have seen the headlines documenting one financial abuse after another. Increased liability is a second issue. Wall Street does not want to be held liable for higher ethical standards. How can it justify bad products that produce poor results for excessive fees? How can it put stockbrokers on the street selling its products when they were selling used cars three months earlier? Wall Street is spending millions fighting a single ethical standard that would benefit you. Notwithstanding the cute TV commercials, Wall Street is your adversary and not your friend. How do you protect your financial interests? Make sure you select a financial advisor who is an acknowledged financial fiduciary. Avoid sales reps whose only method of compensation is commission. And, make sure you obtain this information in writing so you have a written record of what was communicated to you.